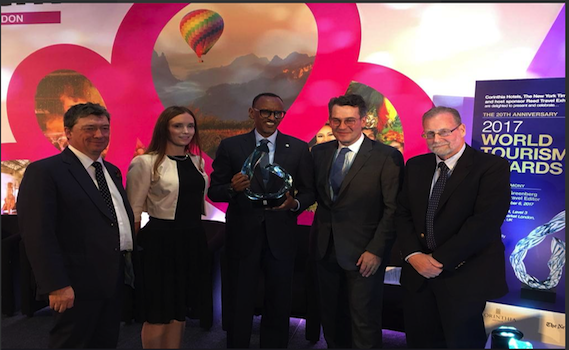 President Kagame received the World Tourism Award in London on Monday in recognition of his visionary leadership in sustainable tourism wildlife conservation. The President congratulated the Bradford Group, the organisers of the event, on the 20th anniversary of the World Tourism Awards. He had special thanks to the host, Reed Travel Expo, as well as the co-sponsors Corinthia Hotels United Airlines and The New York Times. Below are some of the tweets from exhibitors who proudly showcased Rwanda’s tourism and hospitality assets.